There was a rise in 30+-day delinquencies in October 2016, which pushed the national delinquency rate to 4.35 percent. The overall foreclosure rate fell to below 1 percent for the first time since July 2007. 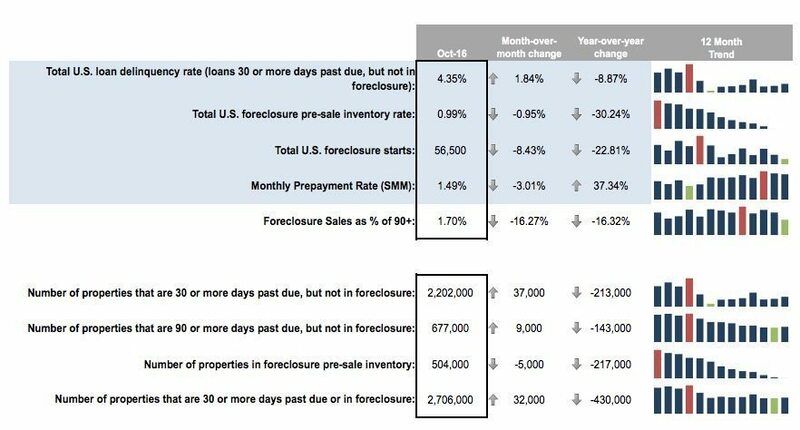 October saw the lowest number of foreclosure starts since January 2005. 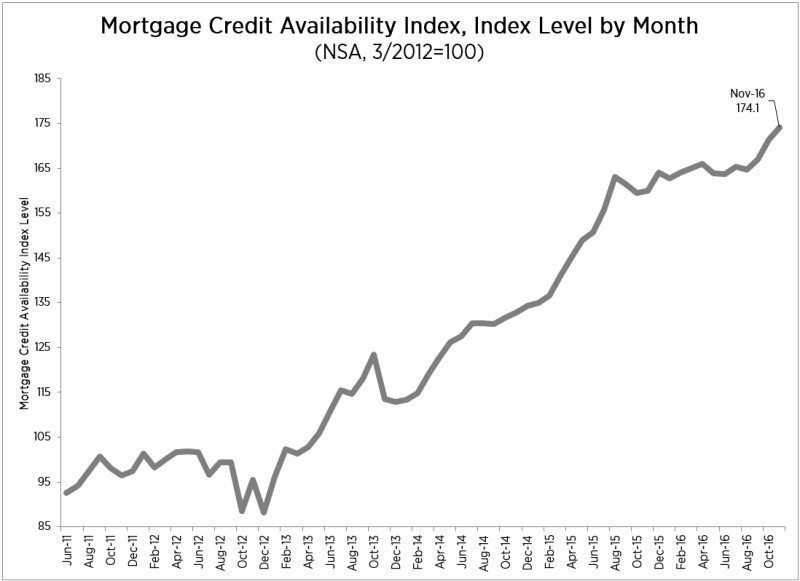 Mortgage credit availability increased in November to 174.1. This is a 1.6 percent increase over October 2016. Of the four component indices, the Conforming MCAI saw the greatest increase in availability over the month (up 2.2 percent), followed by the Government MCAI (up 1.8 percent), the Conventional MCAI (up 1.5 percent), and the Jumbo MCAI (up 0.8 percent).